The Red Shoes, Matthew Bourne | Curve Theatre. Matthew Bourne is without a doubt one of the best choreographers out there. With his contemporary, modernistic feel on some much loved stories continues to inspire and grab the attention of it's audiences. His newest production, The Red Shoes challenges Bourne and his team to bring to life the 1948 film that has inspired generations of dancers in it's tale of obsession, possession and one girl's dream to become the greatest dancer in the world. The production is nothing but flawless in it's delivery, from the choreography, costume design and casting to it's structure and both light and stage design. There was a real feel for delivering a high standard production, playing with the view of stage from being in the spotlight to behind the scenes. Nothing was left to spare. The New Adventures cast were full of poise and elegance in their movement really capturing the style and attention to detail that Bourne creates in his choreography. The company never fail to deliver high standard movement ability and skill. Leading lady Ashley Shaw, manages to execute the high intensity of emotion and strength that her character Victoria Page becomes. Watching her character shift and change in the dynamics drew you in when she wore the red shoes. You couldn't help but become fascinated by the control that these shoes had over an individual. However, the entire cast was pretty flawless to be honest. The projection used to enhance The Red Shoes ballet section made me feel slightly disorientated and nauseous, making me feel slightly triggered and uncomfortable. It was the only part of the piece which I couldn't manage to enjoy. However, the modernistic feel to creating the ballet which a sense of foreground created by the set design was flawless and very creative. Watching this piece it was a clear definition into why Matthew Bourne's work is very much loved by old and new audiences across the country and beyond. 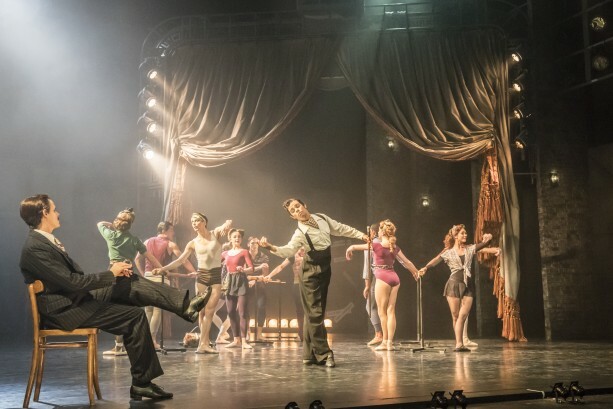 His creation in The Red Shoes was well worth the delay in seeing, with it's imaginative and new approach to a story which is classic and well recognised. If your a fan of Matthew Bourne's work or haven't had the opportunity to see any of it yet, then The Red Shoes is definitely one to watch. I would definitely see it again and again!